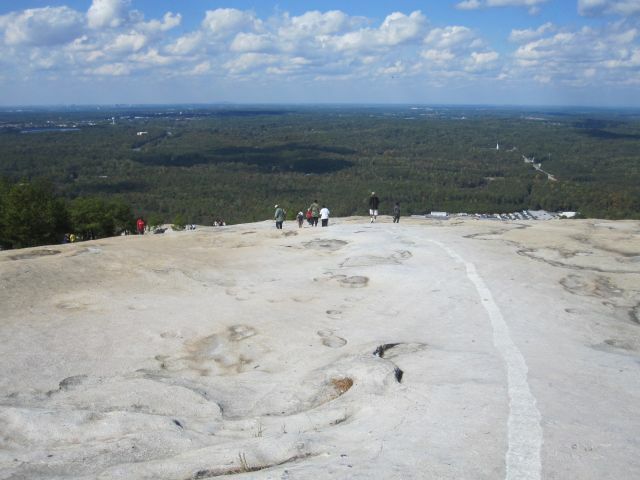 DJ and I climbed Stone Mountain today. 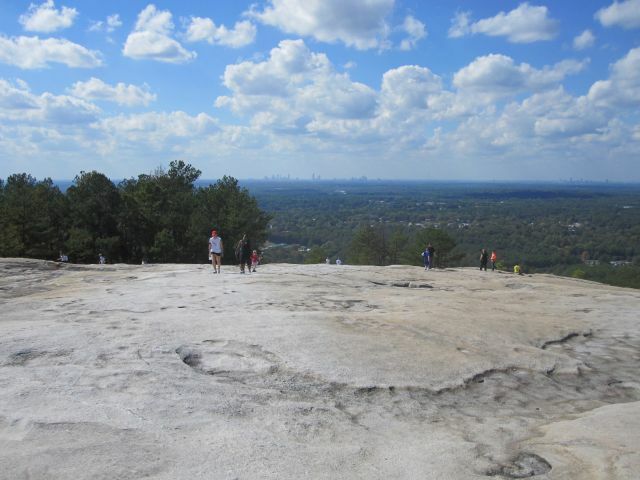 Stone Mountain is an "impordent" part of Atlanta life. In any culture high places often have spiritual significance. No different in the modern-day growth-region of Central/Northern Georgia. It is an interesting walk. 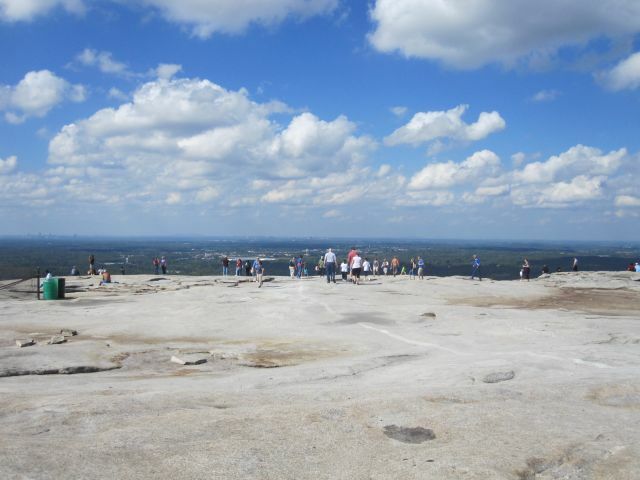 Stone mountain is a largely monolithic mass of granite. 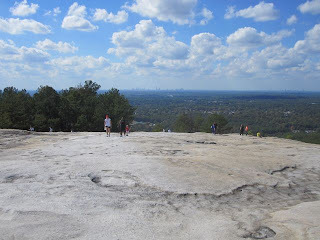 I had become familiar with the obvious out-crop just like the skyline of downtown Atlanta. I see it from the cockpit of my C-172 as well as the very-top overpass of "Spaghetti Junction". 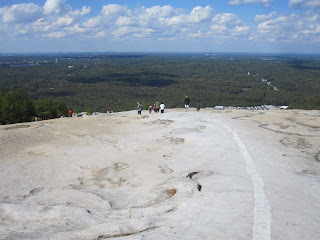 The walk gets steeper as you get nearer to the top. My altimeter watch indicated that we scaled a 70 story building, albeit in nature. I saw no one turn back. That also seems to be part of the culture. People as everywhere around here are openly conversive with strangers. It is a regular walk for exercisers and urbanites that need to do something different. It is close to Duluth and Atlanta. It took about 30 minutes by car to get there from Duluth. We spent about 2 hours on the mountain. A guy fell off that thing and died a bunch of months ago.